Love the frame around the city scene. So much fun and different than I have seen before! This is beautiful! It looks so detailed , but is actually easy! 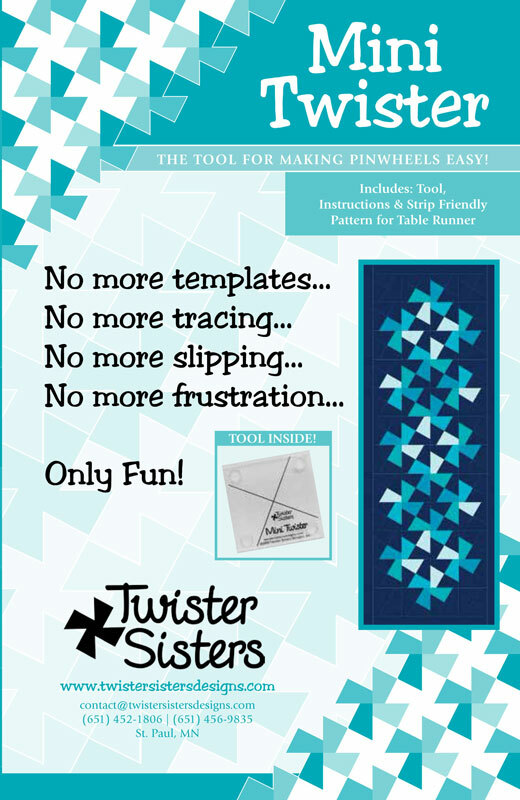 These “twister templates” are on my wishlist! 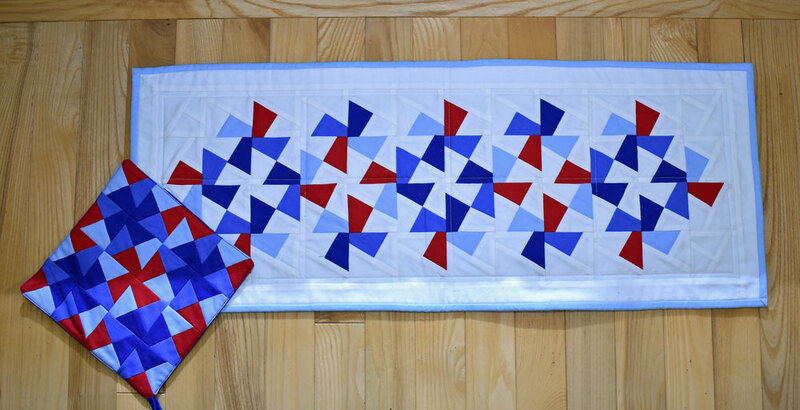 What a gorgeous quilt–and my daughter is in love with it, too! What a fun quilt! Thanks for the chance to win! I’ve always admired twisted quilts, such a beautiful design! My fingers are crossed, thank you! Great design! Love the letter fabric. Great design for the panels shown! 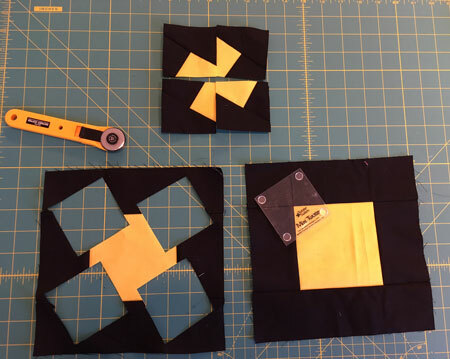 It is hard to find something to go with a panel to enlarge a quilt. I love all your patterns so I would love to win this one. This is so cute! I love the panel and pinwheels are my favorite! This is a beautiful design! The twisted pinwheels are gorgeous! This is a great giveaway. I’ve always wanted to try the twisted template. I watched a video on how to use it and I thought it would be fun. What an inspiration! A newly like me is always excited to see these colorful creations. Love the colors. Thanks for a chance. 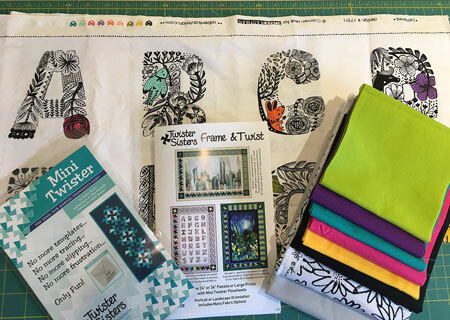 Love my Twister Tool—I used it to make new table toppers for my mom’s living room. I have a twister tool and I’m so afraid to use it. Afraid I’ll screw it up. I love this quilt. It is so cute. I have never used a twister tool but it looks like fun! 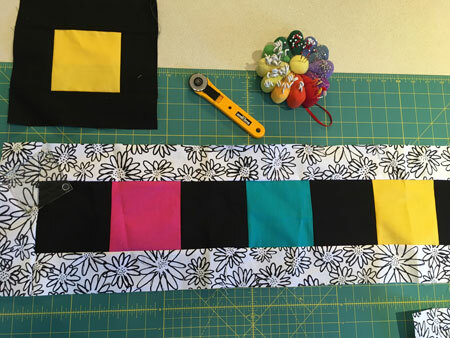 I love making twister items I have all the twister rulers and all the patterns. I just love the twister tool! I have never seen the process before. Very cool. And the Lettered panel is gorgeous. Thank you for having this giveaway. Great idea using the pinwheels in the border. I’ve done 5 twister quilts. 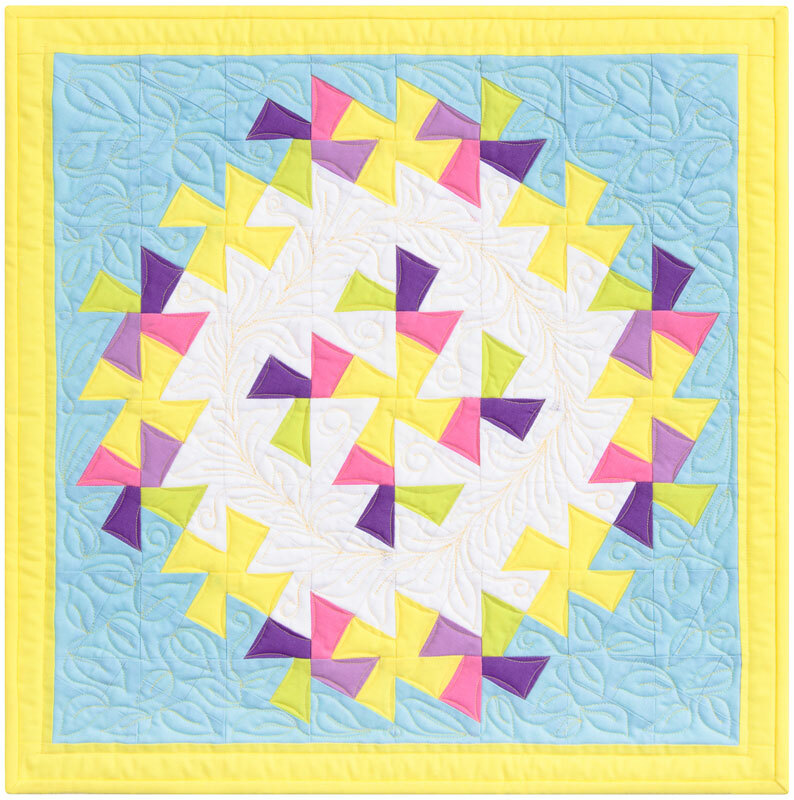 I have never seen a twister quilt before, and these a simply beautifully unique. What a sweet giveaway! Thanks for the opportunity to win. Thank you, I’d love to win. 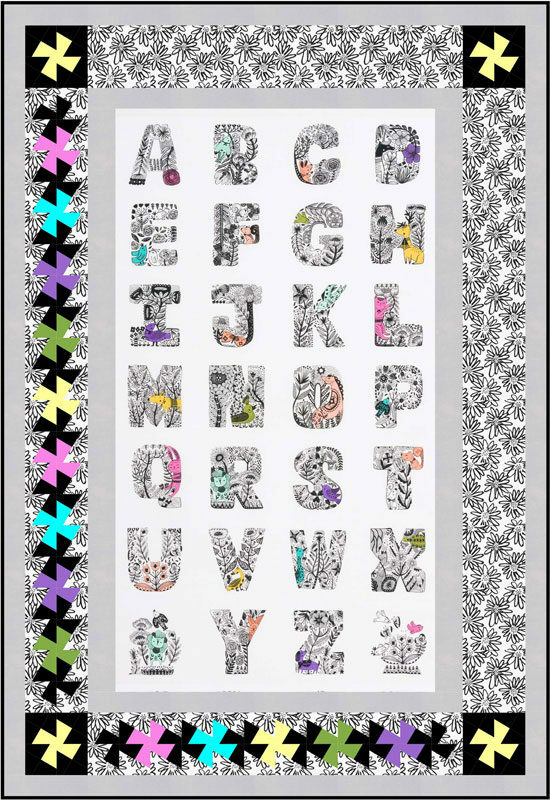 What a colorful quilt kit and alphabet is always irresistible. Absolutely amazing – what a neat technique!!! 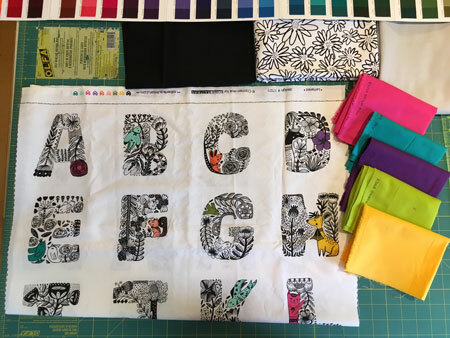 and I love the fabric – text is one of my fab designs to use in quilts! Very Nice! Love the twister frame! Lovely, thank you for the chance to win and I look forward to seeing more cool ideas. I love this technique. Always looking for new ways to produce fun shapes. Thanks for your work. Really will try this technique. 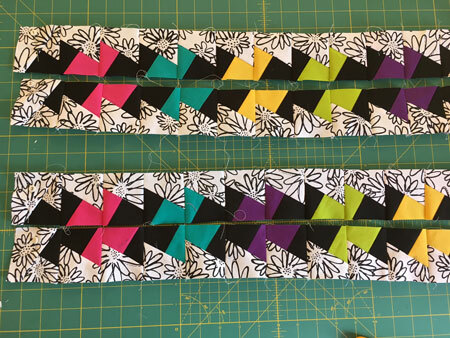 Love Twister quilts, but haven’t used them for a border before. Looks great! What a unique tool! And beautiful panel. Thanks for the tutorial and chance to win! What a great quilt and I love the ABC panel. 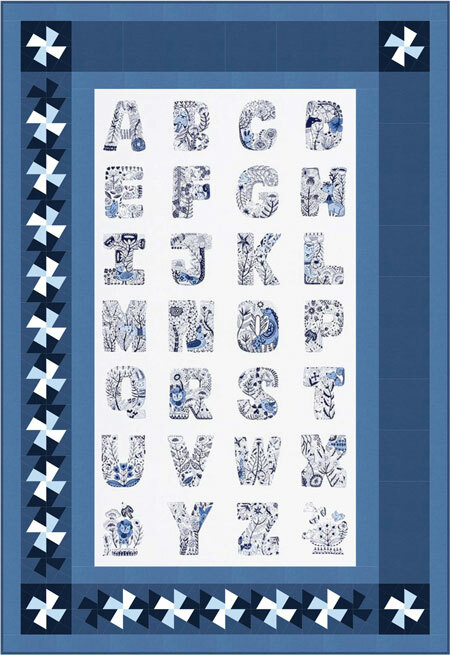 The ABC quilt is beautiful, and looks so easy! Twister projects are among my favorites. I have made several in various sizes. This idea is truly unique. Thank you so much for speaking at our guild meeting. I was mesmerized by your incredible trunk show and the twisted ruler method. Thank you also for this opportunity to win this wonderful prize. 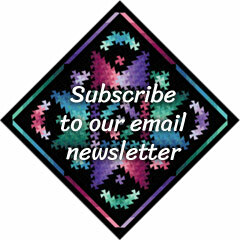 I was delighted to discover your website with so many more twister patterns! I made a small wall hanging years ago after my friend introduced me to this technique. I’m currently working on 2 JOY wall hangings for sisters with that middle name! What a fun design. Congrats. Looks great. Am now a follower and looking forward to seeing what you are up to. 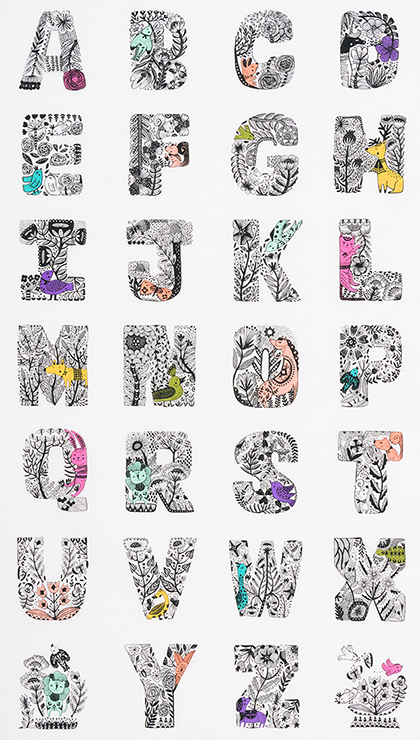 Can’t resist alphabet designs! I love using the Twister tools. Now following blog. Thank you. Love your frame idea! I have used the twister tool before, but not the mini. thanks for the chance to win these fabulous gifts. Beautiful twisters, but I hate to waste all that fabric. Just frugal!! Been hoping to make something with these tools. Your ideas are amazing. This panel is just beautiful! And a giveaway, love it! These are beautiful! I would love to learn how to do this! Love the panel technique. Thanks for your trunk show. I just learned how to use the twister tool last week and have found it to be quite fun. Don’t know why I avoided it for so long. Thanks for showing this project. Sew very cute. Always on lookout for ways to frame a panel. My Mom, Dorothy Hendrickson, a Bemidji Master Quilter would love this give away~ So very beautiful!! 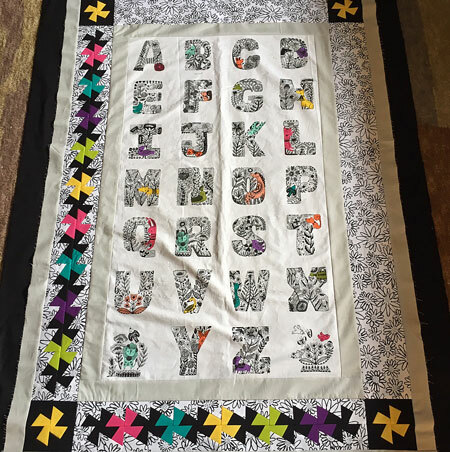 The alphabet quilt would be so much fun to make for my grandson! He is learning his letters right now! 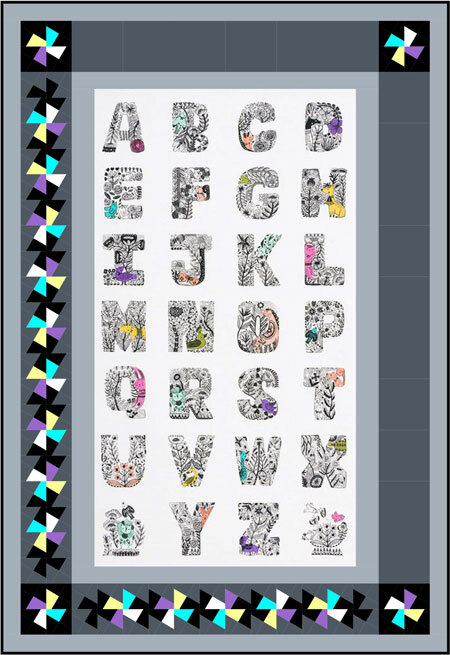 What a great pattern to use a panel and the Twister tool! Such a fun way to finish a panel! WOW! I love this tool. I need to learn to do this! 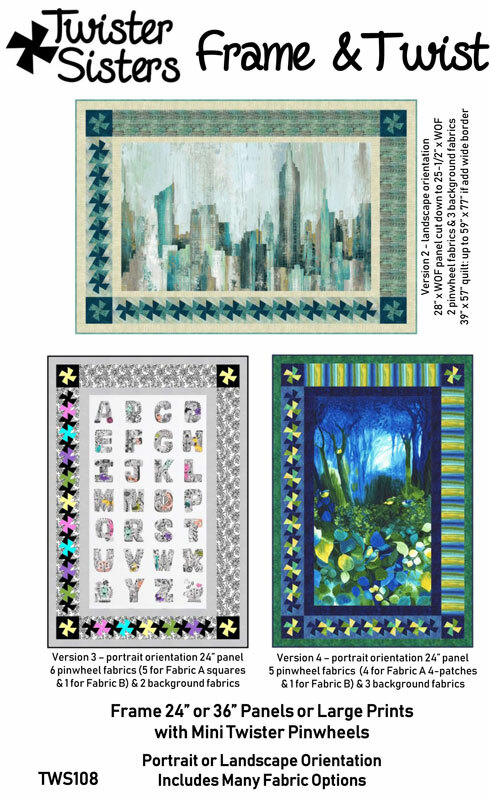 What a fantastic way to frame quilt panels, love it. Just watched a Youtube video on how to use the twister tool – now I want to try it out! The border of mini twisters make an awesome frame! Can’t wait to try it. Thanks for the chance to win! 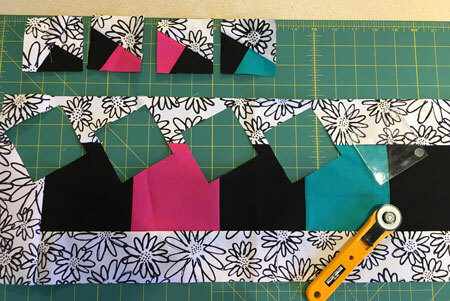 I’d love to make this adorable quilt… especially the twisted border!! What an awesome touch!! Oh. How I’d love to make this! Pinwheel have always been my favorite block and being a teacher, letters are right up there too as favorites! This is awesome! Love the frame idea and the tutorial. Would love this kit.